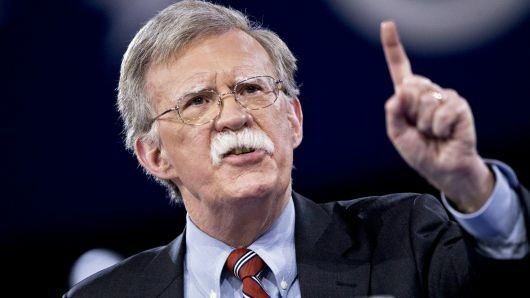 The United States will do what it deems necessary, including considering more sanctions, to address Russia’s interference in its elections and its annexation of Ukraine’s Crimea, US National Security Adviser John Bolton said on Friday. He said it would be helpful if Russia got out of Ukraine’s Crimea and eastern Ukraine, stopped meddling in US elections, and was less intrusive in the Middle East. “It would certainly be inaccurate to say we are not going to impose any more sanctions on Russia. We are going to do what we are required to do and what we think is necessary,” Bolton told Reuters during a visit to ex-Soviet Georgia. Moscow has repeatedly denied it interfered in the 2016 US presidential election. When asked about possible US plans to impose sanctions on holders of Russian sovereign debt, Bolton said he was not aware of “any kind of sanctioning on the sovereign debt issue.” “It might come into affect, might be affected, if it’s involved in a financial transaction that’s associated with a different sanctioned transaction, but it’s not on debt itself,” he said. “It will be helpful if they (the Russians) stop interfering in our election … get out of Crimea and the Donbass in Ukraine … stop using illegal chemical weapons to conduct assassination attempts against Russian exiles in the West, and if they would be less intrusive in the Middle East,” said Bolton. Such behaviour was what had prompted Washington to impose sanctions on Russia in the past, he said, saying US officials were in the process of deciding whether to impose more sanctions on Moscow. He further said the US wanted to hold strategic talks with Russia about China’s belligerent activity. Bolton said that Chinese missile capabilities posed a threat to Russia as the “Russian heartland” was in striking distance of such missiles. He also said that the Intermediate-Range Nuclear Forces (INF) treaty which the US is planning to quit was “a relic of the Cold War”.